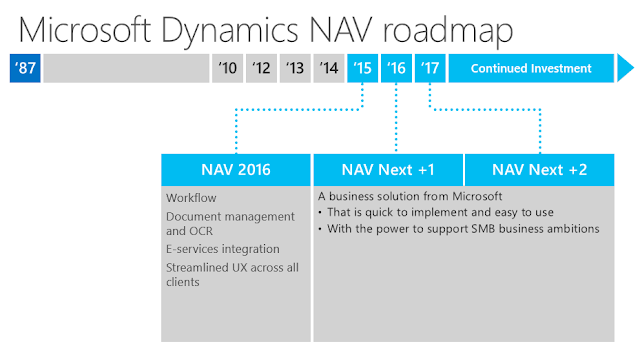 Microsoft has officially published new Microsoft Dynamics NAV Roadmap. 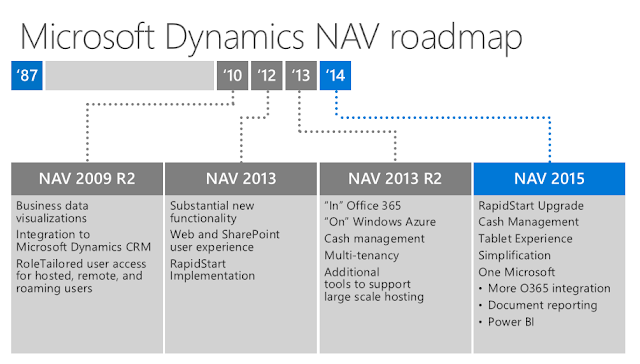 You can download the published powerpoint presentation from partnersource by clicking here. Presentation document contain 3 slides and one of the slide contain Microsoft Dynamics NAV 2016 overview. 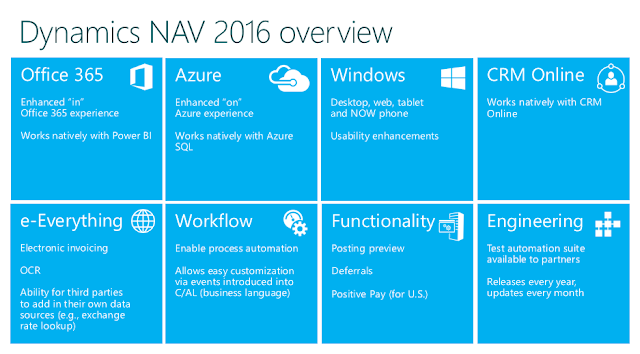 Check my previous blog post for more info about the overview. Looking at the overview of 2016 version, we all can come to a one conclusion that Microsoft is planning to push Dynamics NAV into cloud and they are putting so much of effort to introduce new functionalities. 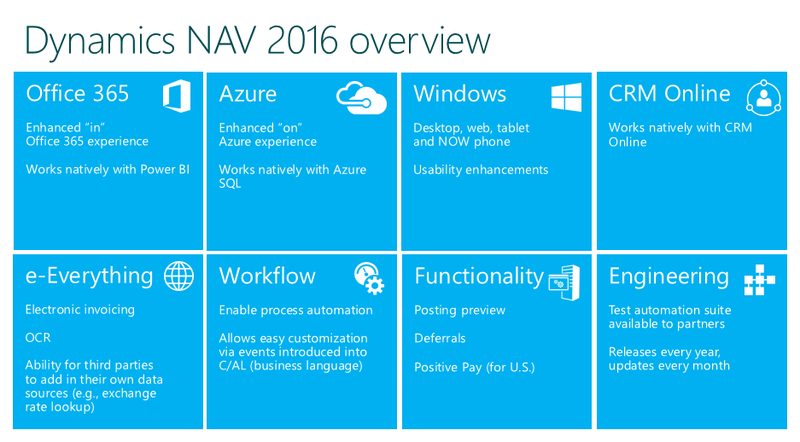 This is the recap slide of the previous road maps before NAV 2015. This is the new Roadmap with the latest versions. This is the information that can be shared at the moment and will update, as soon as we get the permission to update you all. Meantime go through my blog posts and update yourself.